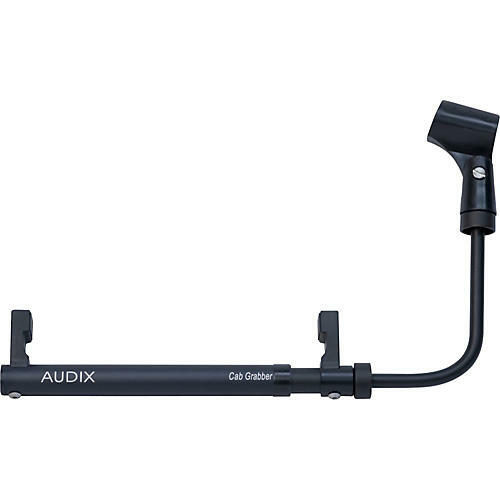 The Cab Grabber from Audix is an innovative miking solution for guitar amps and cabinets. Holding mics weighing up to 1 pound, the Cab Grabber works on cabinets with 14" or less depth. Keeps your mic precisely positioned.Mic Holder does not come with wire clips. The Cab Grabber from Audix is an innovative miking solution for guitar amps and cabinets. Holding mics weighing up to 1 pound, the Cab Grabber works on cabinets with 14" or less depth. Keeps your mic precisely positioned. Mic Holder does not come with wire clips. Holds mics weighing up to 1 lb.